If you want to take a train to Padang Besar on the Malaysia / Thailand border, the railway station is served by both KTM Berhad (Malaysian Railways) and SRT (State Railway of Thailand) trains. There are actually two Padang Besar train stations, the main station which is located just inside Malaysia, then a smaller station on the Thai side of the border. All KTM trains terminate at the Malaysian station where you pass through immigration. You can also use the main border crossing located just over the tracks. 1) Long distance Electric Train Services (ETS for short) from as far south as Gemas, with most services originating from Kuala Lumpur's main transport hub of KL Sentral Railway Station. To travel on any of these ETS trains you will need to reserve a seat (no standing is allowed) and advance booking is recommended. You can easily book your tickets in advance directly from KTM or using on online ticket agent. Facilities onboard these air-conditioned ETS trains include a buffet bar in coach C, and toilets and handicap facilities. 2) KTM Komuter Train services operate to Padang Besar from Butterworth Penang. These commuter trains are a cheap way to travel shorter distances to places like Arau (for Langkawi ferry from Kuala Perlis), Alor Setar, Sungai Petani and to Georgetown on Penang Island (linked by ferry from Butterworth). KTM Komuter trains are like tube / subway trains, are air-conditioned, but have no facilities onboard and seating is on a first come, first served basis, with a large standing area down the centre of the coaches. Tickets for these trains are only sold on the day of departure. 1) A Shuttle train service from Hat Yai Junction consisting of Third Class, fan cooled carriages (toilets onboard). Tickets for these trains are not available to book online and advance booking is not necessary. 2) There is one long distance Intercity train a day from Bangkok to Padang Besar. This overnight sleeper train is the only long distance train service to Padang Besar operated by SRT. This service is only sold as a 2nd class sleeper service and the train splits off into two carriages for the last part of the journey (the rest of the train travels on to Sungai Kolok). All sleeper coaches are air-conditioned, with a buffet car attached until Hat Yai Junction. 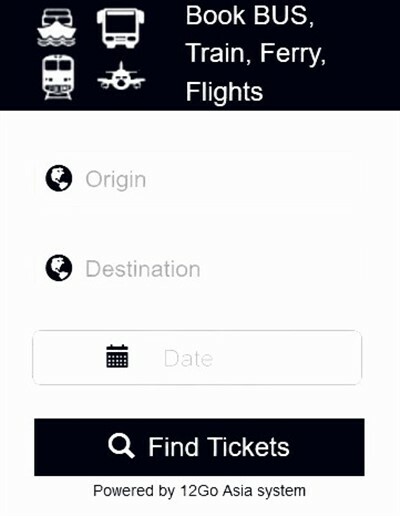 If you want to travel on this service, you should book in advance.